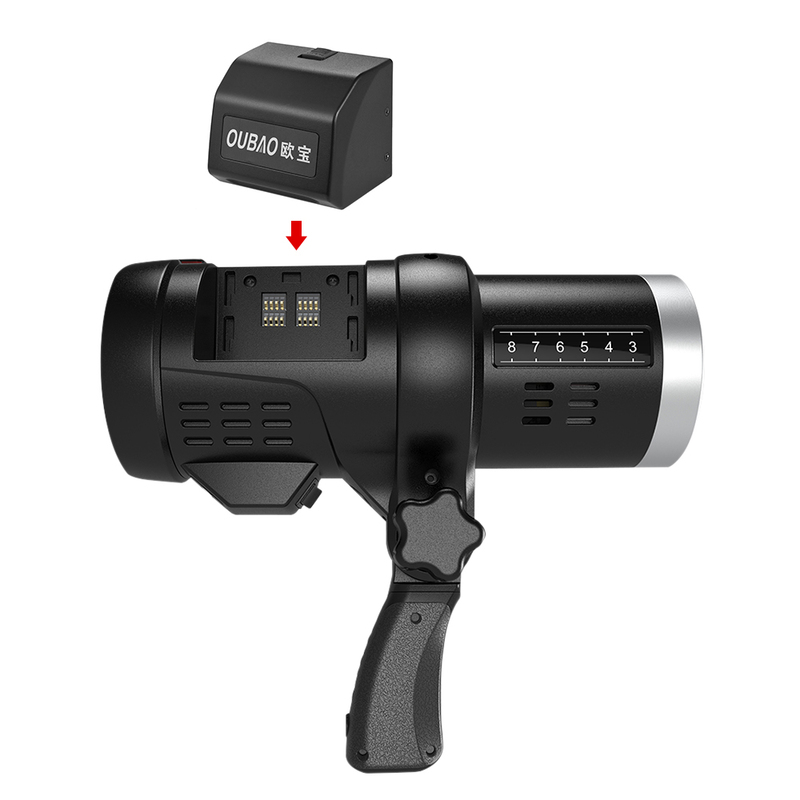 TRIOPO F1-400 TTL Outdoor Flash is small in size, lightweight and portable, adopts integrated design for flash body and li-ion battery. 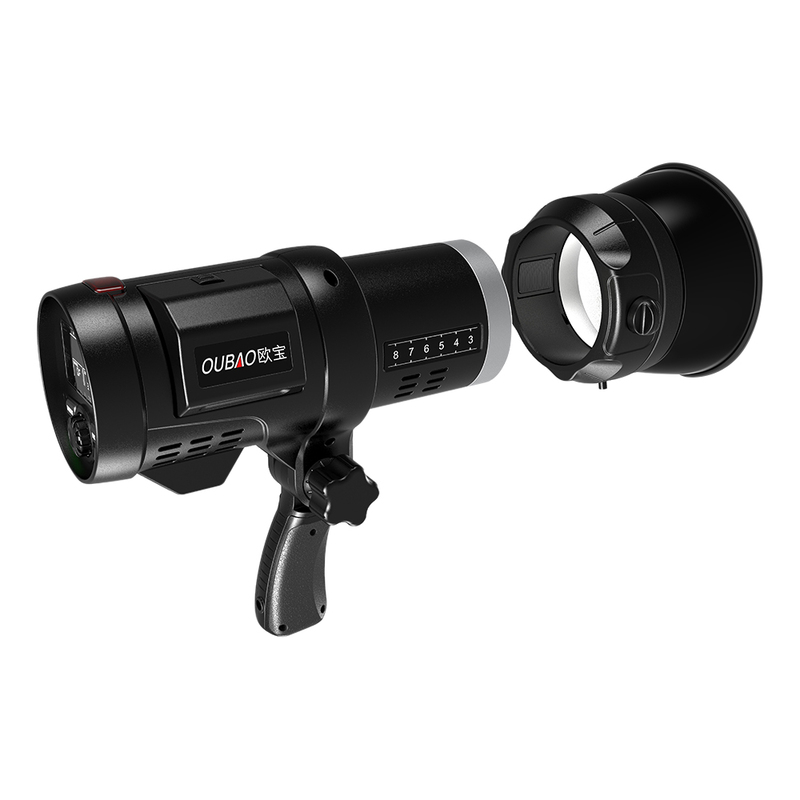 Built-in 2.4G wireless Q system: Support dual TTL(i-TTL and e-TTL) for Canon cameras and for Nikon cameras; Support 1/8000s HSS; Support TTL auto-flash. Comes with 10W LED modeling light. Li-ion battery can store enough energy to flash up to 350 times, with longer stand-by time and high-efficient charging. 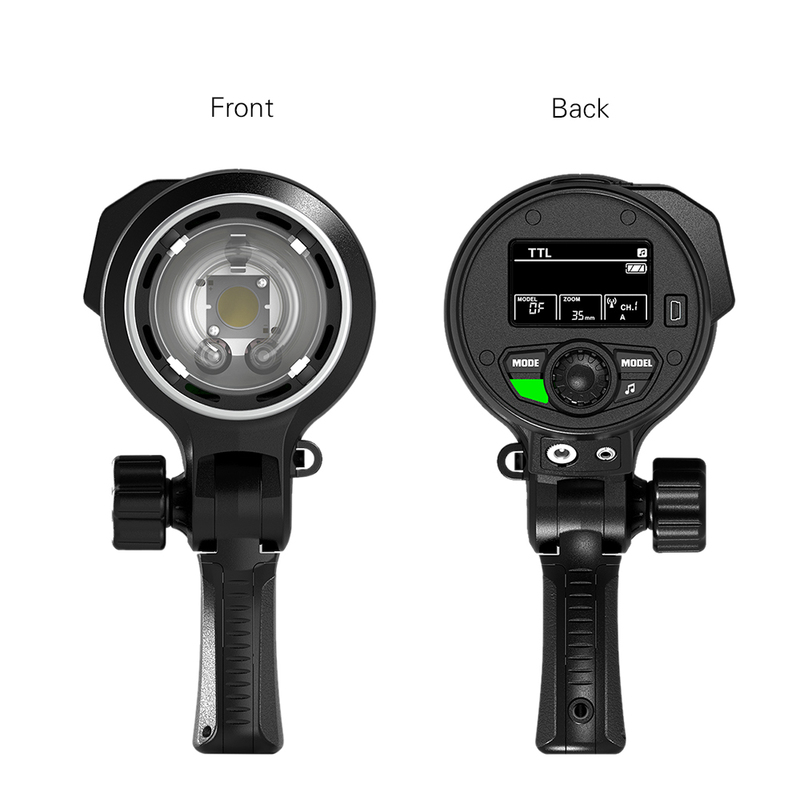 Dual TTL outdoor flash for Canon camera and for Nikon camera. Built-in 2.4G wireless receiver, 400W strong power, stable color temperature 5600±200K, 0.1-2.9s recycle time, 350 times full power output, GN63, 8 steps (1/128 to 1/1) power output. 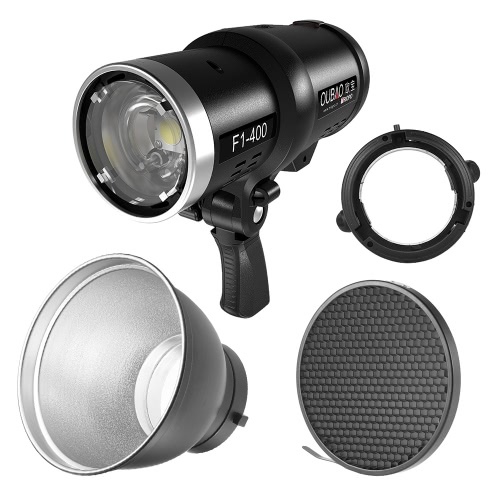 Support TTL/M/Multi/S1/S2 flash mode for Canon, for Nikon. With the Q1 trigger to achieve 2.4G wireless transmission and wireless control. Dot-matrix large LCD screen, easy to understand and control; Support USB firmware upgrade, has 3.5mm sync port. 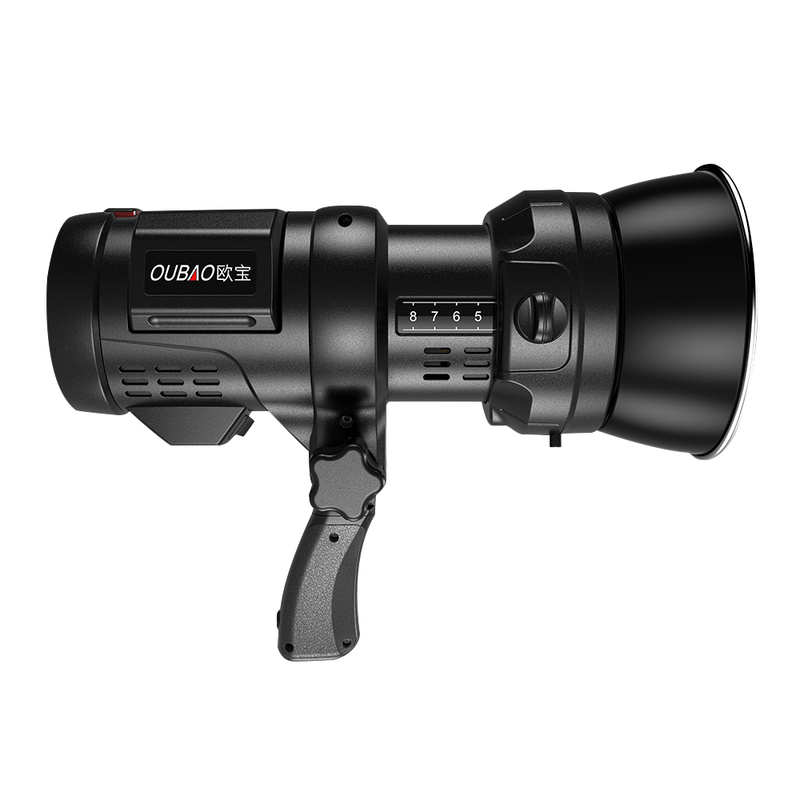 With TR-06 Bowens mount adapter, F1-400 can be used in combination with many Bowens mount accessories. 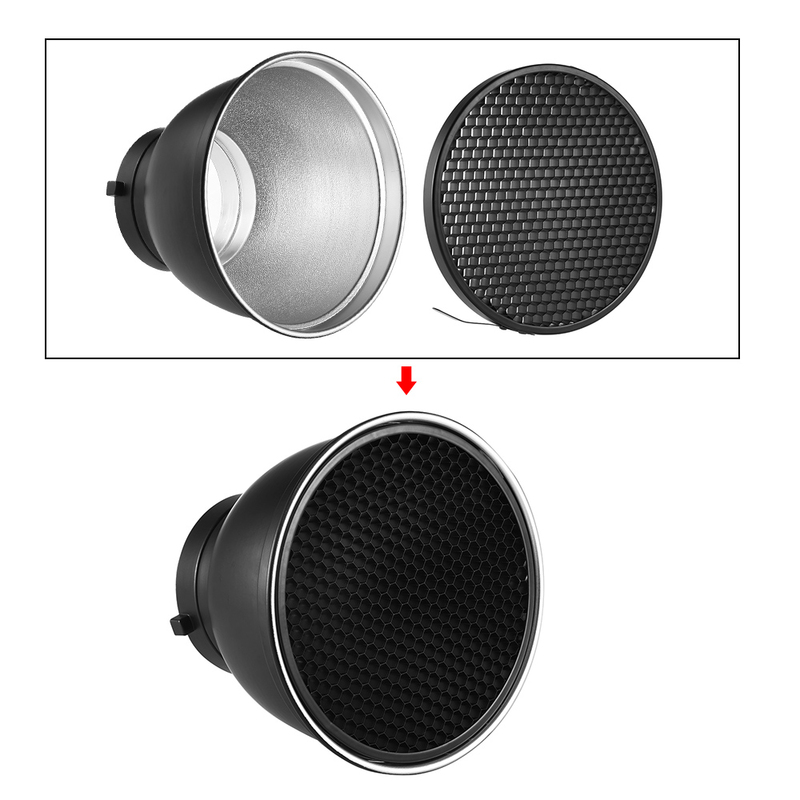 Umbrella hole for inserting your photography umbrella for more dynamic effect. 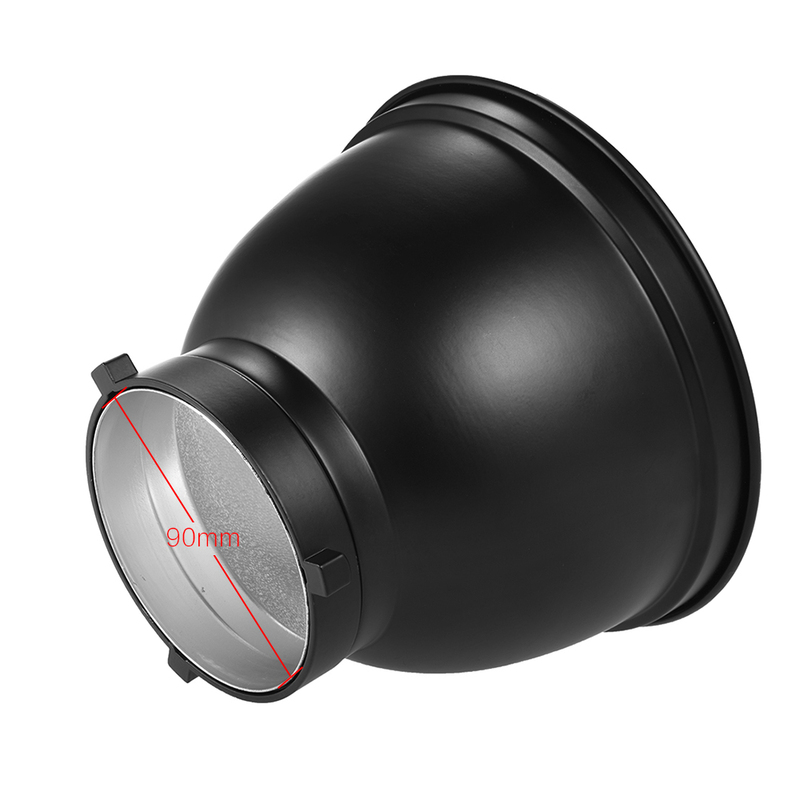 Angle adjustable head: Angle adjustable and fixed by locking knob. Tripod hole: For mounting it on tripod or light stand. User Replaceable Flashtube: No, via authorized service tech.